Former president Pranab Mukherjee, Bharatiya Jana Sangh leader, the late Nanaji Deshmukh, and singer Bhupen Hazarika were on Friday conferred the country's highest civilian award, the Bharat Ratna. Deshmukh and Hazarika were conferred the award posthumously, while Mukherjee was president between 2012 and 2017. Calling Mukherjee "an outstanding statesman of our times", Prime Minister Narendra Modi said that he was "delighted that he has been conferred the Bharat Ratna". "He has served the nation selflessly and tirelessly for decades, leaving a strong imprint on the nation's growth trajectory. His wisdom and intellect have few parallels," Modi said, according to news agency ANI. The news agency reported that PM Modi said that the songs and music of Hazarika were admired by people across generations. "From them radiates the message of justice, harmony and brotherhood. He popularised India's musical traditions globally. Happy that the Bharat Ratna has been conferred on Bhupen Da," PM Modi said. On Deshmukh being conferred the award, Modi was quoted as saying that his "stellar contribution towards rural development showed the way for a new paradigm of empowering those living in our villages". "He personifies humility, compassion and service to the downtrodden. He is a Bharat Ratna in the truest sense," Modi said. PM Modi: Pranab Da is an outstanding statesman of our times. He has served the nation selflessly & tirelessly for decades, leaving a strong imprint on the nation's growth trajectory. His wisdom & intellect have few parallels. 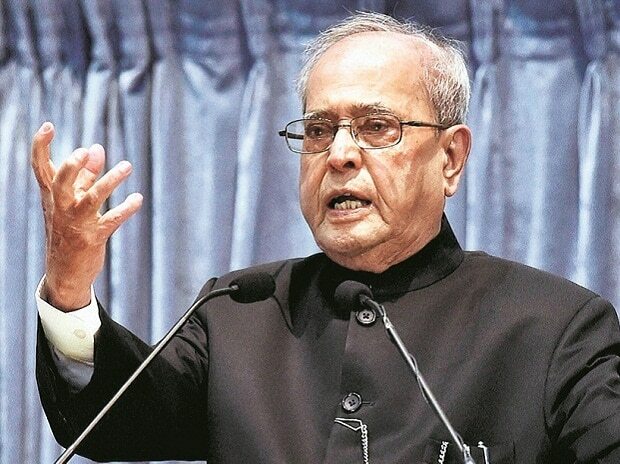 After being awarded the Bharat Ratna, ANI quoted former president Pranab Mukherjee as saying, "It is with a deep sense of humility and gratitude to people of India that I accept this great honour bestowed upon me. I've always said and I repeat, that I've got more from the people of our great country than I have given to them."